Find a new Alfa Romeo 4C Spider at your local Detroit, MI Alfa Romeo dealership. View NEW Alfa Romeo 4C Spider InventoryLooking for a USED Alfa Romeo 4C Spider? OverviewAt Golling Alfa Romeo of Birmingham near Detroit, Michigan, we strive to give you the best in performance and luxury. 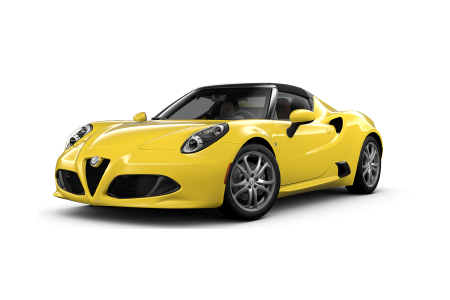 The Alfa Romeo 4C Spider is perfect fusion of power and design. Turn heads on Woodward Avenue as you leave the competition in the dust in the new Alfa Romeo 4c Spider. Behind the wheel of the Alfa Romeo 4C Spider, you'll hit 60 mph in just seconds thanks to the turbocharged four-cylinder engine. The Alfa Romeo 4C Spider offers unparalleled acceleration for your morning commute or a spontaneous joy ride. 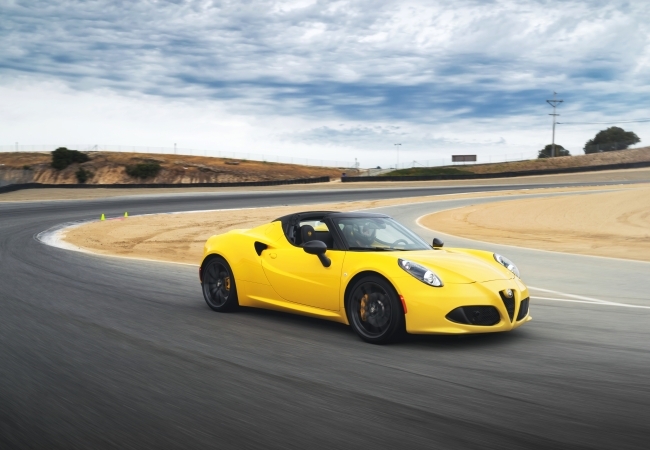 Of course, the full capabilities of the Alfa Romeo 4C Spider must be seen to be believed. Why Us?At Golling Alfa Romeo of Birmingham near Detroit, MI, our team will exceed your expectations when it comes to finding the car that's right for you. Our friendly personnel and professional finance team are here to make your car selection process effortlessly smooth from the test drive all the way to the financing options. Visit our Detroit, MI area dealership today to experience an unforgettable test drive in an iconic sports car. Like any investment, your Alfa Romeo needs care. 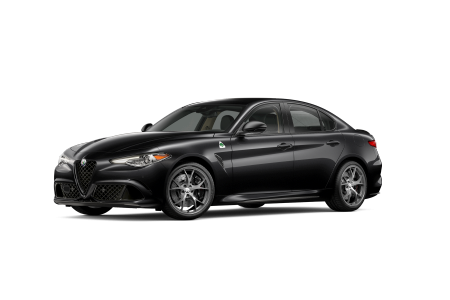 Ensure that your Alfa Romeo remains in peak performance condition by looking to the experts who know your vehicle best. Whether you're due for a simple tire rotation, or are in the market for performance parts, our manufacturer-certified technicians will guide you through the entire automotive service process. Make an appointment at our Detroit, MI area automotive service center now!